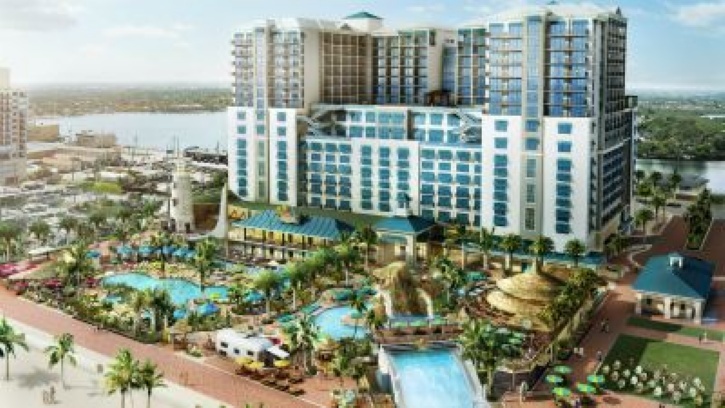 Jimmy Buffet’s Margaritaville is set to break ground on August 22. It was recently announced that a joint vewnture between Coastal Contruction and Tishman Construction have been selected to manage the construction, that will grace the shores of Hollywood Beach. A statement was released by CEO Tom Murphy to the Miami Herald this week, “There are great synergies between our two companies, including our mutual track records for creating hotels, resorts and multi-family residential projects of distinction, but more importantly, our shared values and company culture.” This project will bring hundreds of thousands to South Florida and could mean a substantial boost to the local economy, and to real estate values. The project is orchestrated by developers Lojeta Millennium and Margaritaville of Hollywood, and investment group, Starwood Capital. This will be a massive undertaking. Margaritaville Hollywood will have a 17 story building that will include a 349 room hotel, restaurant, bars, and retail spaces over the 5 acre site. Some of the other amenities that will accompany the site will be a refurbished bandshell, public restrooms, water park, boat dock, and a 1,056 car garage. It is scheduled for completion by 2015. This will completely change the face, name, and economy of Hollywood Beach. Margaritaville’s across the country are some of the most popular destinations, for more than just Jimmy Buffet fans, many enjoy the island breezes and feel and Fort Lauderdale can offer an island feel while being easily accessible in the United States. I will keep you updated on the progress of this project.